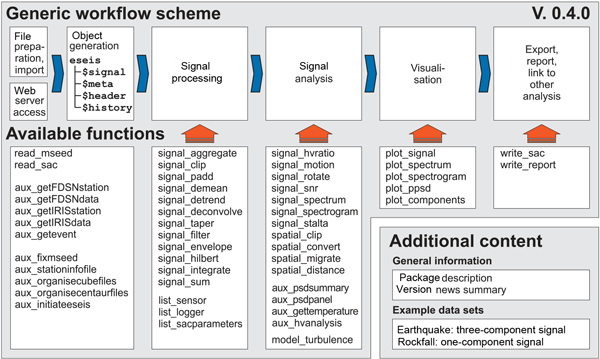 We developed a new strategy for real-time early warning of gravity-driven slope failures (such as landslides, rockfalls, glacier break-off, ...). This method enables to investigate natural slope stability based on continuous monitoring and interpretation of seismic waves generated by the potential instability. Thanks to a pilot experiment, we detected typical patterns of precursory events prior slide events, demonstrating the potential of this method for a real word applications. 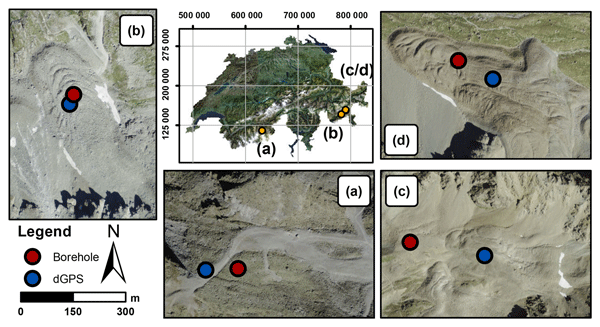 We present a 8-year continuous time series of measured fracture kinematics and thermal conditions on steep permafrost bedrock at Hörnligrat, Matterhorn. Based on this unique dataset and a conceptual model for strong fractured bedrock, we develop a novel quantitative approach that allows to separate reversible from irreversible fracture kinematics and assign the dominant forcing. 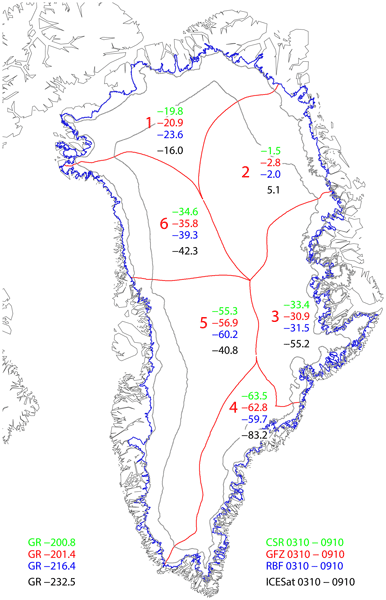 A new index of irreversibility provides useful indication for the occurrence and timing of irreversible displacements. 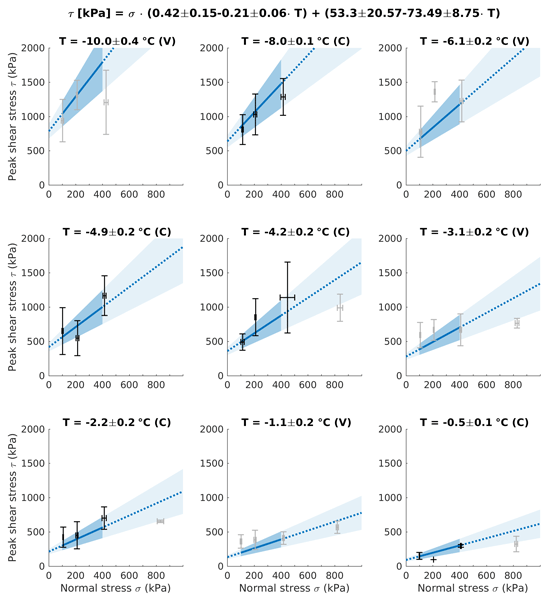 By using a set of evaluation methods involving GPS, ICESat, hydrological modelling and altimetry satellite orbits, we show that the novel radial basis function (RBF) processing technique can be used for processing the Gravity Recovery and Climate Experiment (GRACE) data yielding global gravity field models which fit independent reference values at the same level as commonly accepted global geopotential models based on spherical harmonics. Over very long timescales, 100 000 years or more, landscapes may drastically change. Sediments preserved in these landscapes have a cosmogenic radionuclide inventory that tell us when and how fast such changes took place. In this paper, we provide first evidence of an elevated long-term erosion rate of the northwestern Campine Plateau (lowland Europe), which can be explained by the loose nature of the subsoil. This study focuses on the creation of a novel CT scan methodology at the crossroads between medical imagery and earth sciences. Using specific density signatures, pebbles and/or organic matter characterizing wet avalanche deposits can be quantified in lake sediments. Starting from AD 1880, we were able to identify eight periods of higher avalanche activity from sediment cores. The use of CT scans, alongside existing approaches, opens up new possibilities in a wide variety of geoscience studies. Learning algorithms are powerful tools for understanding and working with large data sets, particularly in situations where any underlying physical models may be complex and poorly understood. Such situations are common in geomorphology. We provide an accessible overview of the various approaches that fall under the umbrella of "learning algorithms", discuss some potential applications within geomorphometry and/or geomorphology, and offer advice on practical considerations. A semi-distributed hydrological model is used to analyse the hydrological cycle of a glaciated high-mountain catchment in the Pamirs. We overcome data scarcity by utilising various raster data sets as meteorological input. Temperature in combination with the amount of snow provided in winter play the key role in the annual cycle. This implies that expected Earth surface processes along precipitation and altitude gradients differ substantially.